The nearest car park is the NCP on Parker Mews, which is approximately 5-6 minutes' walk from the restaurant. 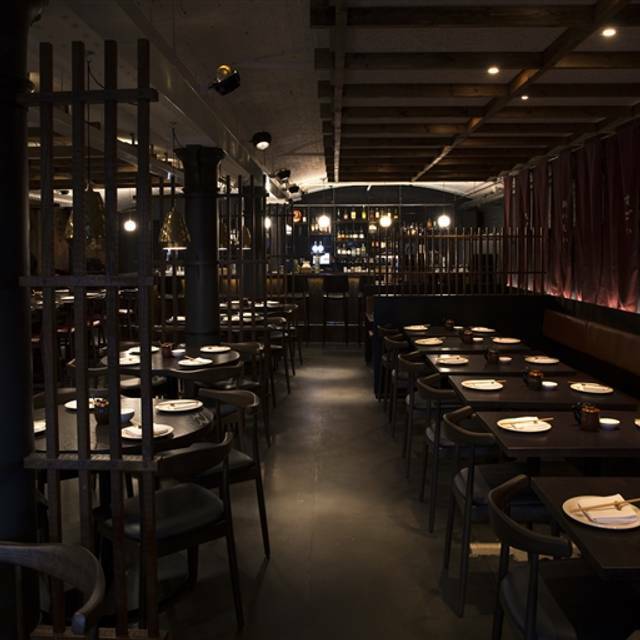 Flesh & Buns Covent Garden, from the team behind Bone Daddies and Shackfuyu, is located within the bustling Seven Dials area in Covent Garden. 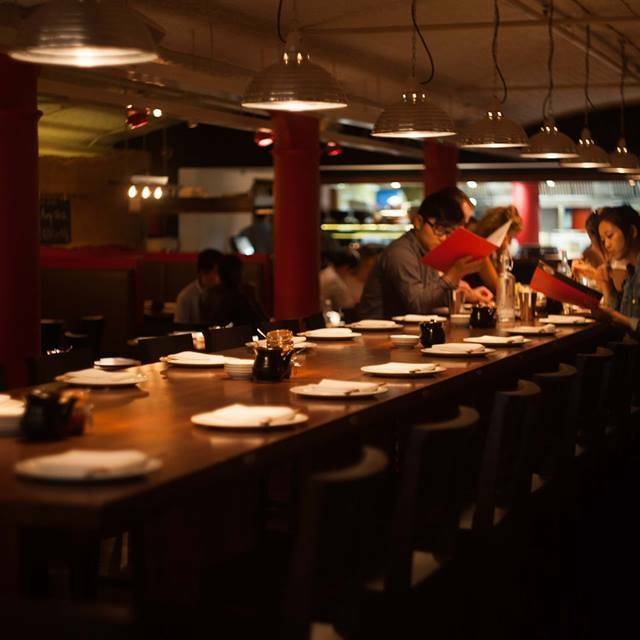 Inspired by Japanese izakayas, roughly translated as a pub or place designed for informal eating and drinking, Flesh & Buns is the first restaurant in London to specialise in gua bao buns (DIY filled steamed buns). 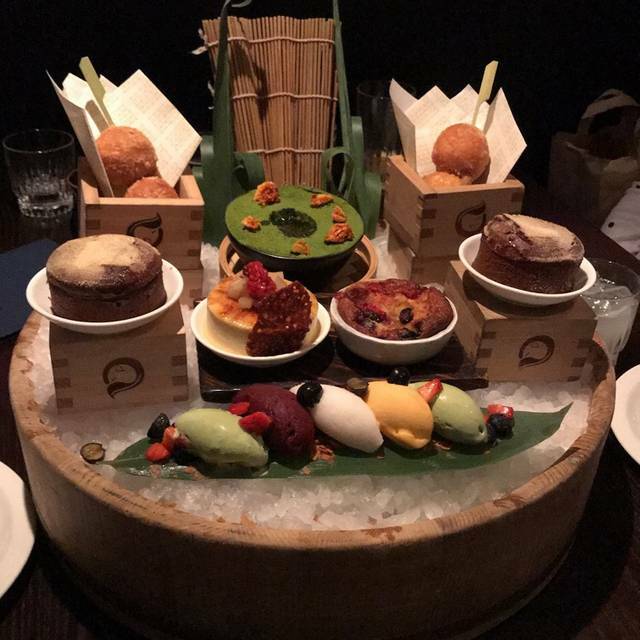 Below street-level, the restaurant has a bar area offering bar dining for up to 10 people, serving a variety of sake brands and a diverse range of cocktails including the signature Frozen Yuzu Margarita, alongside the restaurant’s varied sharing food menu. Draped fabric ‘noren’ screen curtains surround intimate dining booths and transport diners to an authentic Japanese drinking den experience – bookable and ideal for groups of friends or colleagues meeting for lunch, dinner or Flesh & Buns’ ever-popular Sunday Brunch. 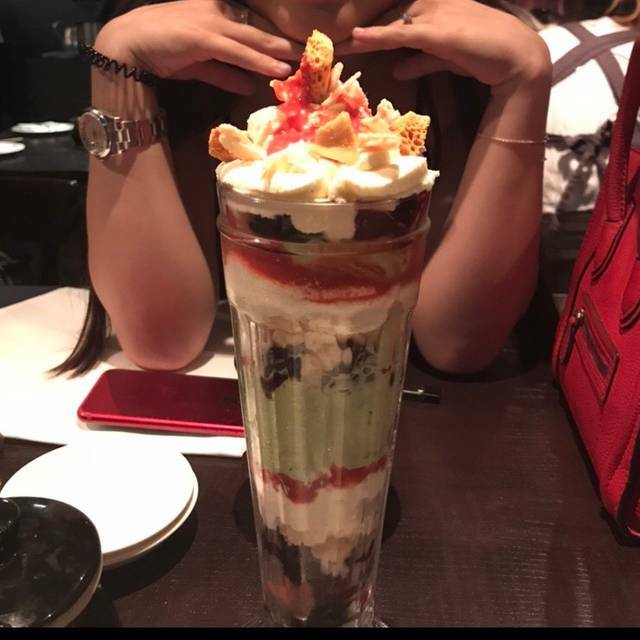 Staff was really helpful and friendly and advised us on what to order as it was our first time. The food was lovely and filling. It was not heavy at all. Definitely will come back again! Great welcome, friendly helpful staff. Food is delicious.and great for sharing. Firestone rice is one of our favourites. Veggie ans meat/fish options. Would really recommend. Awesome vibe and great meal! We ordered nearly the whole menu and everything was delicious. As always, great food and great service. Really great place to catch up with friends, we'll be back for sure! Great, fast, friendly service. Food was great, you must order the Korean spicy wings they were AMAZING and a very generous portion. Bao buns were very tasty too. It was really good, I definitely want to go back there to try more. Excellent, first visit. We’ll be back soon to try more of the menu. Genuinely my only complaint is the seating; there isn't much personal space at all with you and your neighbour. Although I simply asked to be moved, I think consideration to peoples experience/personal space should be considered. I definitely had no issue earwigging on my neighbours convo despite not actually wanting to be involved in their conversation at all. That being said the Food is amazing, taster menu is recommendable. And the customer service is fab; I removed the optional service charge to give cash to our waitress - SHE defo deserved the tip. Had the tasting menu - everything was tasty and just the right time between courses. Buzzy atmosphere and great staff. Loved the food and the service but if I'd have known the seating I would have requested a table for two; as it was we were seated in the middle of one of the big tables and both my son and I are not loud people so we couldn't really talk at all since we had people all around us (three very loud girls on one side). I booked so early - it seems not fair that we didn't get a table for two. We had to wait until we left to discuss the food (my son is a real foodie and he had watched some you tube with chefs eating at this restaurant...he had so been looking forward to this experience (he's 14 and we live in Denmark). Recently visited for an wedding anniversary dinner with some friends. On the whole, we thoroughly enjoyed the evening and the food was fantastic. Only criticism surrounds one of the waiting staff (the rest were delightful) who was a tad abrupt and dismissive. Despite this, we'd happily return again in future. Fab food, pricey drinks but good atmosphere. The food was good and tasty and the service ok but a couple of things let us down. We went in the lunch time for my husbands birthday. The restaurant wasn't busy at all but they still wanted to seat us smack bang in between two other tables with other customers. The tables are so close together we may as well have all been sat on the same table. I asked if we could sit elsewhere in the empty restaurant and were told we couldn't sit at one of the many other tables as there was only two of us and the other tables are for four people. We were eventually able to sit at a bench table which seated 8?! 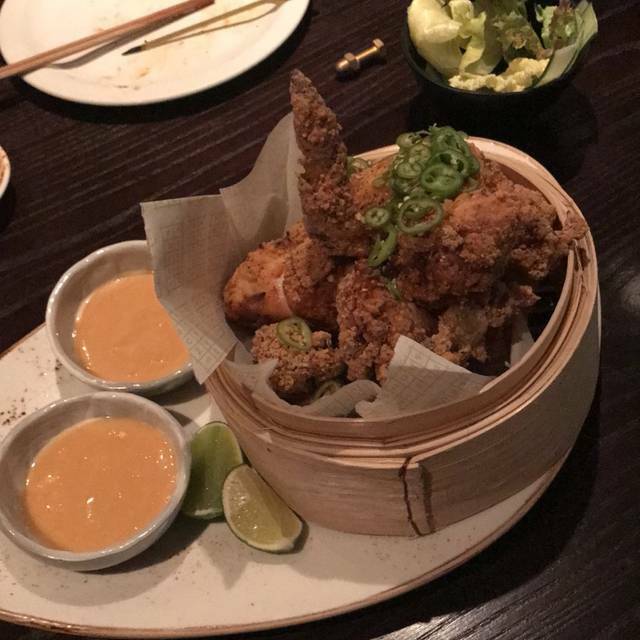 We found it very strange that the chicken we ordered for the buns had bones in it. So you had to pull the chicken off the bone to stuff the buns. They should bring out the chicken already shredded. The portions especially the chicken were a good size and we couldn't finish it. We asked for a doggy bag but were told they didn't have a license to allow us to bring the food away with us, so we struggled on through it. Also they were meant to do a birthday candle at their suggestion when confirming the booking but this never eventuated. The doughnuts are a must to try!!! Lovely duck buns, but the ceviche was average. 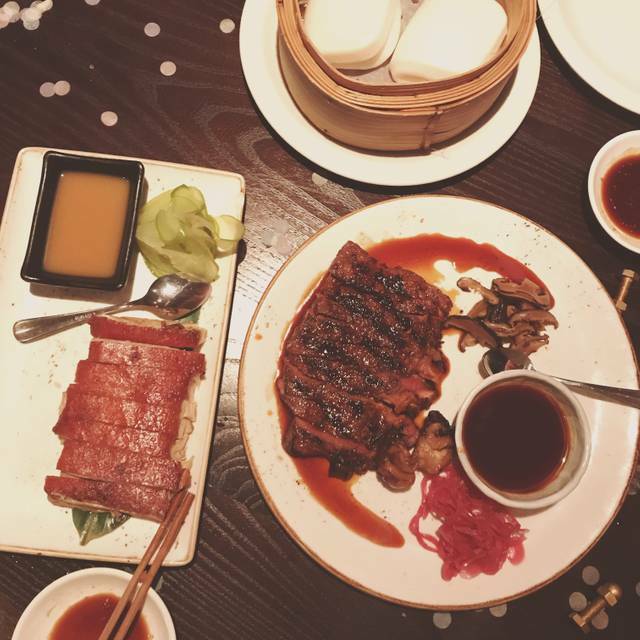 Nice place, however, Flesh and Buns should make it known in the booking if you won't have your own table - wasn't a fan of the sharing tables - felt like I was sitting on top of the diners next to me, lack of personal space. Loved it. Will definitely be back. Go for the tasting menu, it was a great way to try a little of everything. 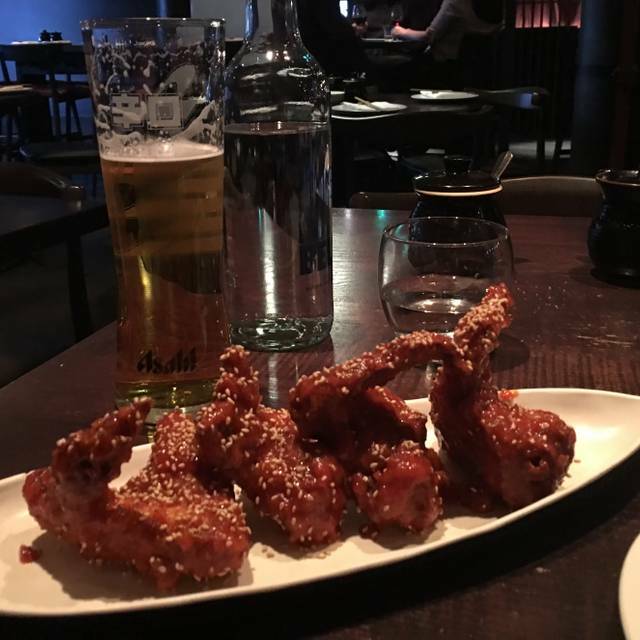 The wings are some of the best in London. Me and my girlfriend come back for these specifically! Better than fitzrovia site but different menu. Must order the s’mores for pure theatre value. Less cocktails thank the other site. Food was super. Most of the food was delicious. Loved the buns. First time here so wasn’t sure how to order. Waitress gave good advice and everyone was happy with their meal. The food was fantastic and the service was great. The only problem was that I didn’t have a private table and was instead placed on a communal table, so it got super loud and made it even more difficult to have a good conversation with my date. Overall, it was an okay experience. We ordered the soft shell crab and chicken appetiser and the fried chicken bun as the main. I found the main too salty and dry, and all it came was meat to fill the bun and a tinnyyyy bit of Mayo. Would have been nice if there was a bit of veg to create texture and flavour and some sort of sauce. The seating was also very close together and I felt like I couldn't have a private conversation. In addition to this, it was also quite loud which did not make for good ambience. I would return again on a less noisy night and maybe try something else. Great food and attentive staff. Heartily recommend. Ambience, food & service was fantastic, however they forgot an item from our order (the famous chicken wings). Other than that it was a lovely evening, albeit quite expensive - £92 for two people and a bottle of wine). Loved it! One of the best dinners I have had in a long time. The only negative is that when we were leaving the table it felt a bit rushed. I was putting my coat on and the lady was rushing to clear the table for the next setting. I am sure the lady didn’t mean to chase us out, but she probably had a 30s lead time from clearing that little bit earlier. We also were 15mins ahead of when our booking was due to finish, so was a bit bizarre. They are quite busy so definitely worth booking in advance. Lovely food and drinks and really good service and atmosphere. Highly recommend it!!!!!! the venue is nice and the waitstaff is courteous. We booked for Brunch as we ve found it on a list for brunch, but I guess that means something entirely different to different ppl. So if you re in the mood for some breakfast brunch and might even expect coffee, you ll be going to the wrong place. If you d like lunch with the option for getting drunk at the early afternoon hours, and you like asian food, this might be for you. I ve found it very confusing in terms of the menu and how the menu is applied and how one gets charged. The noise level was at a good balance with good music but not too loud so one could still have a conversation. They did call ahead to confirm the reservation. In th end, to me, it was simply not good enough value for money for something called "Brunch" but thats just me. I cant fault waitstaff or the kitchen. But I think management decisions on how they like their business to operate will prevent me from coming back. At least not for brunch. It was amazing only thing I would have liked is an expresso martini or coffee as was flagging and caffeine was much needed. Fab evening though with amazing food. Was really impressed by Flesh and Buns. Reminded me of Ping Pong but felt a bit more exclusive / bit more of a treat. The food was also excellent and decent value for London. Two people could definitely share the Japanese fried chicken bau. The waitress suggested this but we didn’t believe her because were big eaters - she was definitely right! Amazing food as always. Had to wait quite a bit for our table though but service was otherwise very good. However staff were stretched on a busy evening. I didn’t appreciate simply being told the bar is busy which is why we were still waiting for drinks almost having finished our mains. Most amazing dinner with friends. 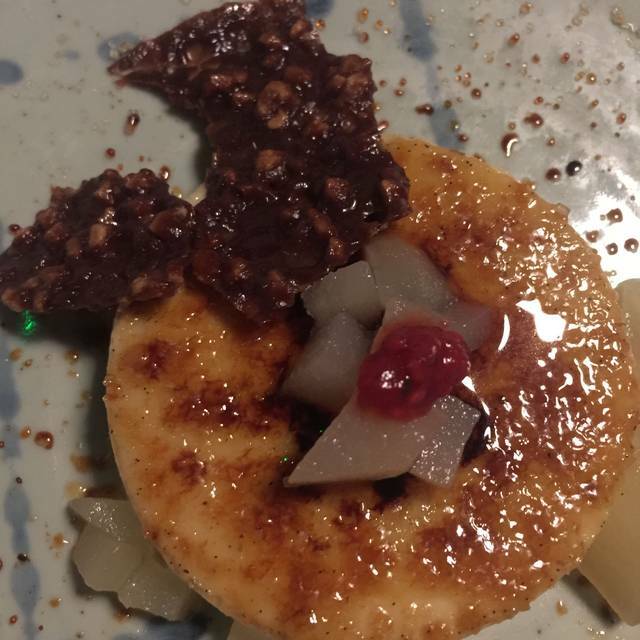 Food was impeccable and sercive great - with spot on advice on what to order for our first time visiting! Did forget to bring me my drink but .... Had a great time at the end of the day!! Will definitely be returning! Lovely food, though small plates range was not very good value. 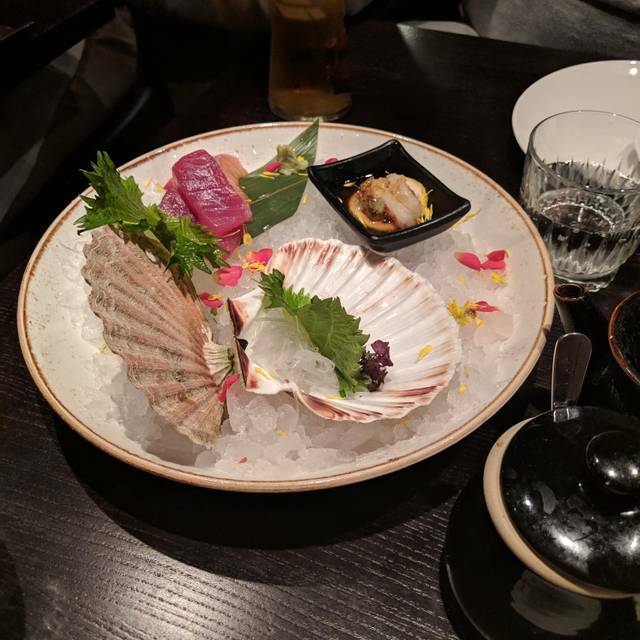 Very overpriced, you get the saddest thinnest steak for £20+, seafood ceviche was only 20% seafood, microscopic amount of beef in the spicy beef hot stone rice (was refunded), crispy piglet belly was great though. Quality & portion sizes do not match the prices, cocktails & service was great though. Really great! Boyfriend loved it here and the fried chicken was insanely good!!!!!! The staff are really helpful with the menu! !